Kim has been serving as the Children’s Pastor of Petra Christian Fellowship in New Holland, PA, since 2011, a role she felt called to and deeply enjoys. Kim has served in many volunteer capacities both within the church and the community including serving on the Board at Tel Hai Camp, serving on the Board of Directors as well as Secretary of ELANCO Released Time, and serving on the Hopewell Network Camp Board of Directors. Kim’s initial ministry training and experience was with Young Life where she served as a volunteer leader. She and her husband Brian volunteered for six years, leading Young Life in Ridley and Interboro High Schools. 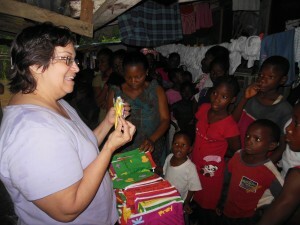 Together they planned and ran club meetings and conducted weekly instructional classes for kids. They also took a busload of high school kids on a ten hour ride to camp in the Adirondack Mountains of New York state each year. This venture necessitated their participation in fund raising for those kids who otherwise would not be able to attend due to financial limitations. Kim reconnected with Craig and Jan Bean after moving to Chester County during which time she learned of the work of Compassion Corps. In wanting to unite both Petra’s Children’s ministry with a Compassion Corps project in Liberia, Kim’s staff met with the Compassion Corps team to plan the project. The result was a gift of desks to three different schools in Liberia and personalized pencil pouches to dozens of Liberian orphans. An even greater result was a passion for the children in Africa birthed out of Kim’s trip with Compassion Corps in the summer 2012. This passion was extended to the 300 children in Lancaster County who sacrificially gave their money to bless the children in Liberia. During her time in Liberia, as she taught classes and gatherings of teachers, principals, and community leaders, Kim began to understand how her pastoral and leadership skills could be used in training, inspiring, and comforting others even in a cross-cultural situation. With these field insights gained, Kim continues to draw upon her wealth of wisdom and experience as she helps to guide Compassion Corps while serving on our Board of Directors. 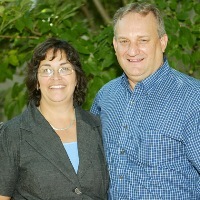 Kim and her husband, Brian, have been married for 33 years. They have 5 children – 4 young adult sons, and one teenage daughter. They also delight in their 3 grandchildren. They have lived in Honey Brook, PA, for about 20 years. Kim’s husband, Brian, works as a Production Manager in a business in Lititz, Pa.
Join us for our annual Gala on March 16th, 2019...for ticket information, follow the link from our homepage!